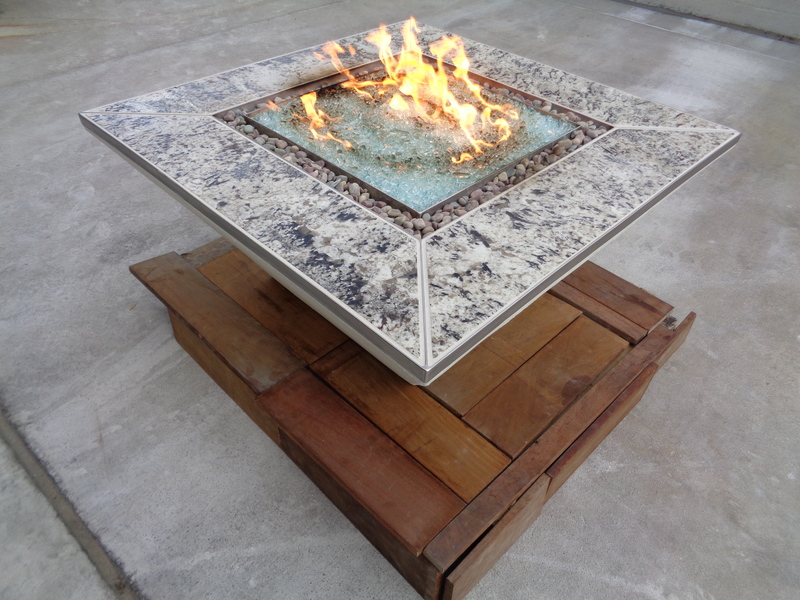 Features Delicatus Antique White Granite Slabs Tiles inlaid into a custom stainless steel frame. A 2″ rock trough that surrounds a 19″ stainless steel fire wheel with Fire Crystals.com. All this sits on a custom fabricated steel frame wrapped with stucco finishes. This entry was posted on Monday, January 5th, 2015 at 7:15 pm. It is filed under . You can follow any responses to this entry through the RSS 2.0 feed. You can leave a response or trackback from your own site.